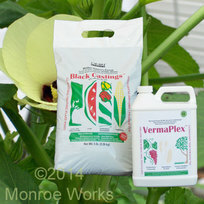 Order Black Castings™ and VermaPlex® together. Used together, they take care of your soil. Black Sea Kelp - A liquid fertilizer recommended as a supplement to your regular fertilizer program. Contains an astounding amount of potassium - 17.